Another high profile celebrity has taken on the Sochi Olympics and Vladimir Putin's ridiculous stance on gay rights. After comments Putin made last week regarding the safety of gay foreigners in Russia for the Winter Olympics, Hugh Laurie called for a ban of Russian vodka on twitter. Well, sort of. Actually, no he didn't really do that at all, but lots of people seem to have taken it that way. Laurie was upset by Putin's speech in which he said that gay visitors would be fine as long as they "leave kids alone, please," referencing the fact that there is a ban on gay "propaganda" in Russia. Laurie tweeted a link to an article about Putin's speech with the caption, "Oh for crying out loud." Following that, Laurie wrote, "I'd boycott Russian goods if I could think of a single thing they made besides the rest of the world depressed." It's funny and it makes his opinion of the situation clear. He went on to tweet, "Yes, alright, Russian vodka is ok if you need to clean the oven. For drinking, it must henceforth be Polish." People took this to mean that he was calling for a boycott of all Russian vodka. Sure, he references a boycott, but this is obviously a joke used to bring some humor into a bad situation. That is a good thing. I mean, if we were really to take him seriously, wouldn't that mean we were still buying Russian vodka and just using it to clean our ovens? He's simply insulting Russia, because he thinks they deserve it, and is doing it in a funny way. Russian media didn't take it very lightly. 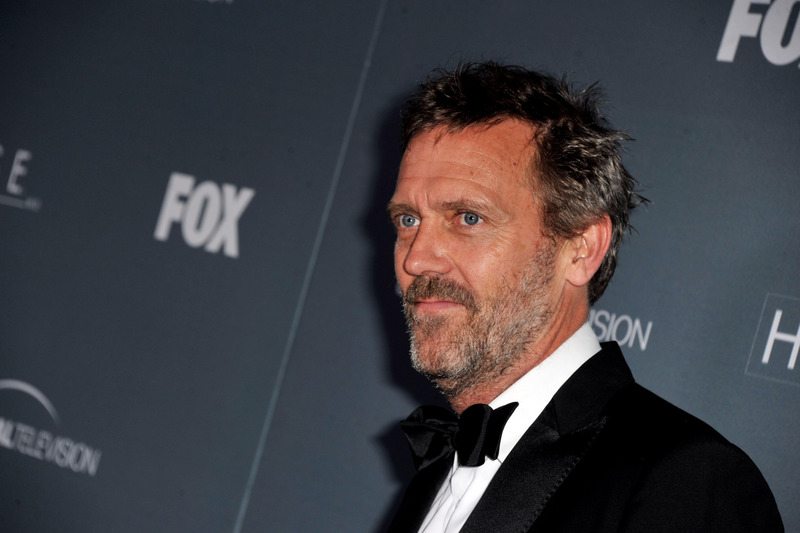 One popular blogger named Ilya Varlamov wrote, "I want to officially send Hugh Laurie to hell along with his opinion of our goods and his plans to boycott them." A Russian sports journalist said, "Hugh called for a boycott of all goods produced in Russia, in passing insulting one of the main brands of our country, Russian vodka." Yep, he definitely insulted it, definitely didn't call for a "boycott of all goods." American media (and Australian, British, etc.) didn't take it lightly either, only rather than hating on Laurie for wanting to ban vodka, they saw it as an opportunity to claim that the actor was calling for a boycott. The sentiment was there, but it seems pretty straightforward that that wasn't exactly what he was going for. The next day, Laurie wrote another tweet in response saying, "I retract. Instead, I urge good, kind Russians to stand up to the slab-faced goons who deal in this kind of poison." This one obviously doesn't call for a boycott and it sums up his feelings nicely, but he shouldn't even have needed to "retract" his nonexistent call for a boycott. Let's try to take things as what they really are, people. This wasn't an actor calling for a boycott of vodka, this was an actor expressing a political opinion and doing it through humor. You do remember humor, right?